Loaded with new media technology, the AFG 7.1 AT treadmill takes exercising to a whole new level. With the Passport access feature, you’ll enjoy virtual tours of the world on your home TV completely interactive with the treadmill. In addition to the LED windows on the console to show time, distance, calories/heart rate, speed, etc., it also has a 16-digit alphanumeric LED for more feedback. Unit Weight/Dimensions — 286 lbs; 79" x 37" x 57"
The AFG 7.1 AT treadmill is powered by a big 3.25 hp continuous duty motor to pull the commercial size 20" x 60" running belt. The 15% incline range is powered by a 500-lb thrust incline motor to lift the deck. Other features include a 1.6 mm belt, the exclusive Active Response™ Cushioning system, and an extended 5-year parts and 2-year labor warranty. The contact heart rate grips on the handlebars are standard, as is the wireless telemetric receiver on the console which works with the chest strap (included) to give you a hands-free option of monitoring your heart rate. For entertainment, you get an iPod holder with an input jack, plus built-in speakers and a headphone jack. A Nike + iPod tracking feature works with your iPod to send your workout data to nikerunning.com. Your online account will store your personal fitness progress. For pre-set programming on the AFG 7.1 AT treadmill, you get Speed Intervals, Peak Intervals, Stamina Builder, Weight Loss, Golf Course, 5K, 10K, Steps HR, Foot Hills, Mountain Climb, Manual, and Custom. 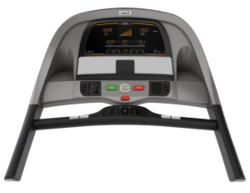 The last great feature is the interactive Escape with Passport™ media player, which connects to your TV and communicates wirelessly to the treadmill. With the player, you get two free videos of Northern Italy and the American Southwest that display stunning views of country and cityscapes virtually while you exercise. The treadmill’s incline will automatically change in elevations going uphill, and the video will speed up or slow down as you set the treadmill pace. If the thought of messing with Icon’s iFit Live doesn’t suite your taste, you’ll love this exciting alternative: Escape with Passport™. It syncs with your treadmill and TV, so you can go faster or slower, and see that adjustment displayed on the screen as you cruise through streets or down trails. And because it is on your TV, you don’t have to settle for watching a tiny video monitor on your treadmill. 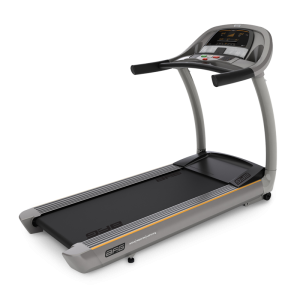 This AFG 7.1 AT treadmill is big in every way: power, cushioning, warranty, and value – but not in price. It’s a good value at $1,999.